To install this mod - Download the zip, Extract the zip(Extracting is the process in which you Unzip the file then proceed to copy all of the contents out) Once extracted there should be a few things 1: The PatryMod-Beta-V1.2 folder 2:The README file 3: Three screenshots of the mod. Copy ONLY the folder into the mods folder of minecraft! Instructions on installation of mod + songs is coming up soon. If you want to add my mod to any other website, PM me FIRST. Audio/Songs have to be in .ogg format. - Google on how to convert as it is pretty simple. Crafting Recipes Are In The Mod Spotlight above And will be availible in the next version as images(hopefully). 1) Grab a free mp3 - ogg Converter(Even Audacity Does This) and convert up to 50 songs. 3) Play the game and have a good time! - Game Crashes when button in recording unit is pressed that doesnt have a name. Working on more recipe pics. Disc Crafting Recipes Have Now Been Removed!!!. 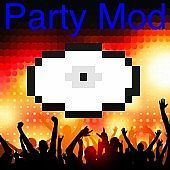 This mod allows you to have a party in mine craft with all your favourite party and mine craft songs. The Recording studio will make the disc but you have to wait a while before you can use them. Put it in the furnace to cook!!! - Balloon string drops untextured item. Okay... I figured out how to do it. Step 1. Copy the Adfly link underneath the warning. Step 2. paste it in a new tab of your web browser. Step 3. download it from the mediafire download button that shows up after adfly redirecting you. Hi there! I tried to download this mod and the "Third Party" thing wont load. Does anyone know how to fix this? it is for when the update in 1.7.10 and 1.8 we are taner of wait. Does anyone know when the new update is going to come out, please let me know. Have you forgotten to update it to 1.12? Im working on a concert festival project and i really need some smoke generators and lasers! It's probably a ZIP file, if it contains a JAR file in it extract that or if it doesn't just put the zip file still zipped where the mods are. Do it for 1.7.10! Your making yourself hate by not doing this!! Music Disks won't Play themselves on the DJ Table! Everything should be Working! It's OGG File Format with a Custom Disk and Everything. Please Fix! PLEASE DO RELEASE THIS FOR 1.7.10! I don't know how to make songs! Please Make it for 1.8.9! Please make it for 1.7.10!!!!! I Cant start can't you adda link to the forge cus i cant find it. Can you give me the 1.7.10 update and tell me how to fix the jar file? I really need to use this for an epic build in my world. OpenGL: AMD Radeon(TM) HD 8510G GL version 4.5.13399 Compatibility Profile Context 15.201.1101.0, ATI Technologies Inc.
this mod is absolutely fantastic in every detail!! Well done!!!!!! I really don't wish to sound tiresome, but a 1.7.10 would be much appreciated, as 1.8+ wont support a few important things, unfortunately..IF of course this will work out for you eventually. Many many thanks!!! hey, mod creator, please read this. i want it in 1.8!!!!! please!! Wow, wait. Updated 1 year ago? are you even GONNA update this? your profile pic is Shadow's attacks when u keep pressing "A" button on the Game Boy Advanced game "Sonic Fight!" I have an idea... I'm pretty sure 1.8 handles sounds the same way as 1.7.10, so could you also handle 1.8? I'm a brony, and have a vinyl scratch/DJ Pon-3 skin, it'd fit quite well. Plus, I have the Mine little pony mod for 1.8 which is the reason i said i wanted it for 1.8. Thanks if ya read this after the word "Brony"! Yay! Another brony! Also, I'm a Vinyl Scratch/DJ Pon3 fan too. BROHOOF! Brohoof. Anyway, Sorry, but i've quit on planetminecraft. I just cant leave bronies to hang, especially on a brohoof, that's why i'm commenting, cant leave ya hanging. If you were gonna subscribe or something, then follow me at Bagginsboys_VinylScratch on Minecraft forum, because there's no point subbin on here. 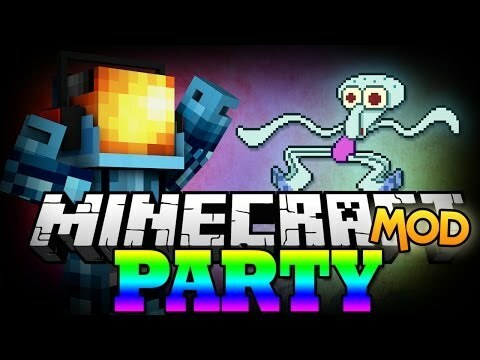 Where do I download the party mod? HAha! I know what you should add! Like pyrotechnics like confetti, fire and stuff! that would be EPIC! 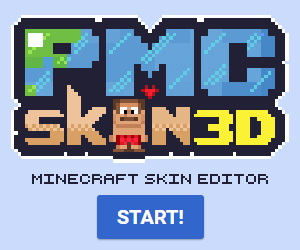 TheMCJava, Can I use this for my modpack? hey i have problem with rotation speakers olny from one side wiht smoke work olny when they are left and dj player when i put song the turn left why? chez moi, je lance mon minecraft forge 1.6.4 avec le mod et le jeu ne ce lance pas!! my game crashes when i try to launch. fix. Did you even read the Error report and what your suppost to DO!! and its for 1.6.4, i learned that the long way though. i there a way to link the dj controls to a command output?say,i want to rapidly change the laser properties from 13 to 15 to 10 and so on.if not,could you add it please?